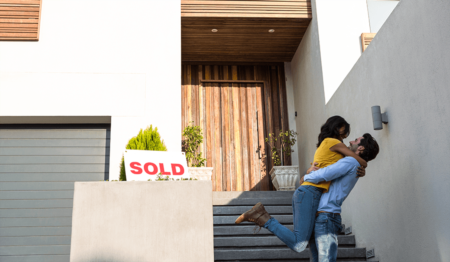 Whether you’re looking to breathe new life into your home for spring or getting ready to put in on the Edmonton market for a quick sale, increasing your home’s curb appeal doesn’t have to be complicated. In fact, there are several easy fixes you can make to improve your home’s outdoor look easily (and affordably) over a weekend! Here are our top expert tips to boost your home’s curb appeal. The first (and best) way to start is to clean things up. Even if your home is immaculate on the inside, a dingy, dirty exterior is sure to ruin first impressions. Start by removing dead leaves, plants or garbage, then give the exterior a good pressure wash. This includes siding, windows, your sidewalk, driveway, front door, everything. If we've said it once, we've said it a thousand times: nothing beats a fresh coat of paint! Not only will it make your home’s exterior look fresh and new, repainting offers a 50 to 100% recovery rate. 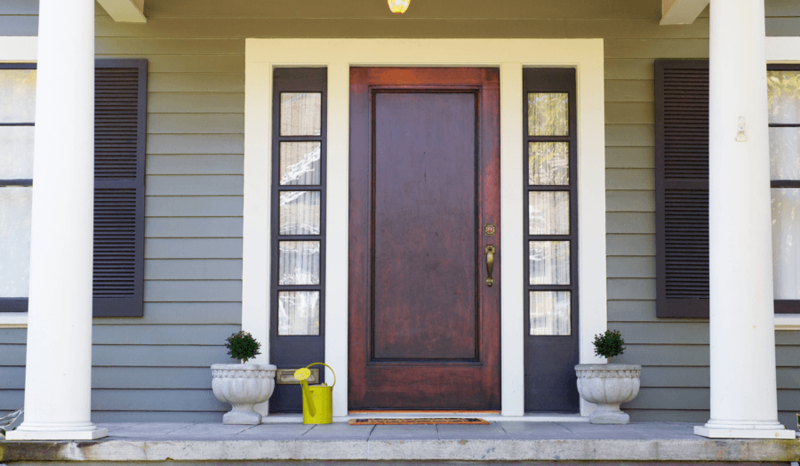 However, if you’re short on time, but still looking to make a paint-related impact on buyers, experts recommend painting your front door as a means to really make your home stand out. If your home numbers and mailbox are outdated (or missing entirely) it’s time to refresh them. Most home improvement stores offer new house number plaques or new mailboxes for less than $30 and will they will give your home a more modern look. 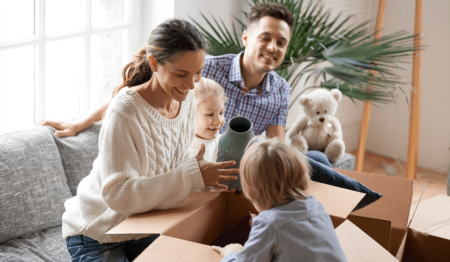 The same rule applies to outdated door hardware, light and electrical fixtures and doorbells – new hardware will stand out to potential buyers and it will look great with the new paint! Speaking of home improvement stores, if you currently have ripped window screens, worn out weather-stripping, missing downspouts, broken railing spindles, etc., now is the perfect time to replace them. Neglected repairs make your home look less cared-for and are sure to be noticed by savvy Edmonton real-estate agents and buyers alike. Plant life that is! We understand that in Edmonton, greening up your lawn takes a while after a harsh winter. But a well-tended (weed and debris free), well-manicured lawn will go a long way in terms of adding put-together appeal. Make sure trees and surrounding shrubbery are pruned and, while you’re at it, add some fresh potted flowers and/ or mulch to your garden beds. 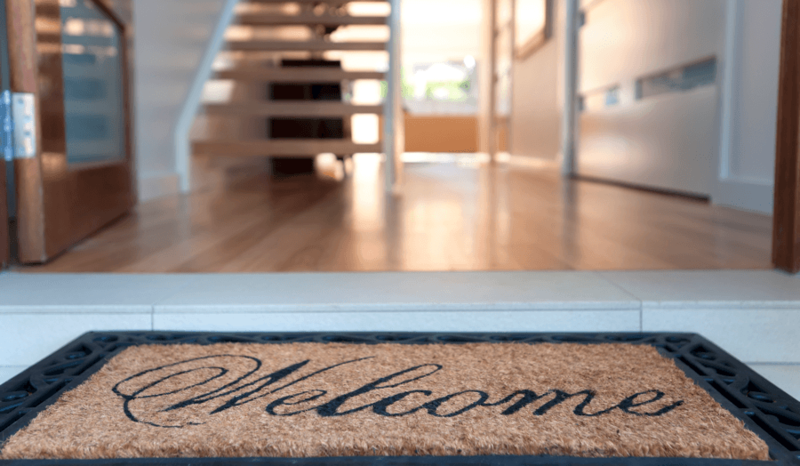 A friendly welcome mat, colourful wreath and modest front blinds (or curtains) are always appealing to buyers. While you’ll want to avoid too much personalization (avoid the lawn gnomes or pink flamingoes), adding a few friendly, universal touches will make your home look more inviting. 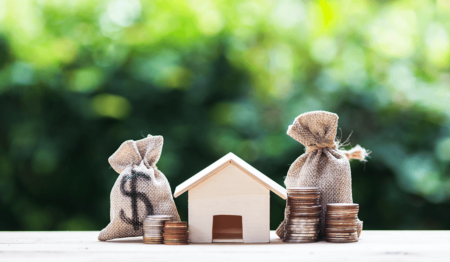 While it’s tempting to avoid these types of repairs due to time and expense, they will be noticed on an inspection report – meaning they’re likely to cost you either way (i.e. you may lose a sale or reduce your sale price). 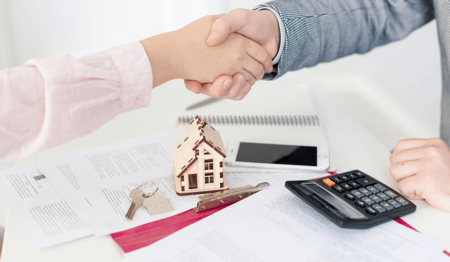 When it comes to increasing your home’s value, Edmonton real-estate agents are a great resource. 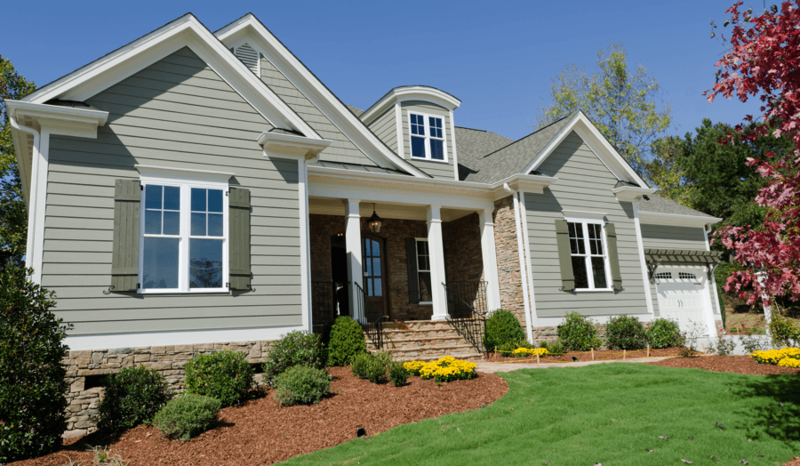 Not only will they be able to make impactful, yet affordable suggestions on how to upgrade your home’s exterior, they offer a wealth of knowledge when to comes to interior improvements, navigating the Edmonton market and crafting a great asking price. Ask an expert today – you'll be glad you did! Do you have questions on how you can improve your home’s value? Get in touch with us! We’re always happy to help! 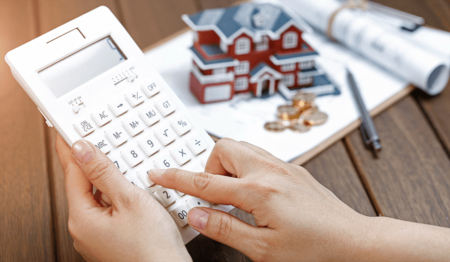 Selling: How Is Your Home’s Value Determined?